From entertainment to healthcare, innovation is everywhere. Yet, what is the end goal of all these new products and processes — and what should be the EU’s policy priorities? Should ‘we’ improve sustainability among rich consumers or better apply innovation for the poor, both at home and abroad? The basic answer is both, according to the Sustainable Development Goals (SDGs), agreed by world leaders back in September 2015. In developed countries, with relatively well-off consumers, the challenge is to make production processes greener, to keep materials as long as possible in the economy, and to socially innovate systems of care, education, work and welfare. Put simply, we need to change the course of innovation: away from fossil fuels, linear ways of production, innovation for consumer fancy and towards innovation that brings the economy within ecological boundaries and into spaces of well-being for all, paying equal attention to both material and immaterial needs. In this sense, the Sustainable Development Goals (SDGs) offer an important agenda for innovation. Nevertheless, special policy guidance and partnerships are needed with new and different orientations. At UNU-MERIT, many of us feel that we need innovation to attain the Sustainable Development Goals. Not only is there not enough innovation, but there is there is also an issue of creating the right innovations for the context. Policy guidance and nudging are, in turn, crucial because business cannot do it alone. Yet, policy guidance also needs to be guided! For this we need to talk about green transitions with a range of societal actors, so that we can avoid silo thinking. 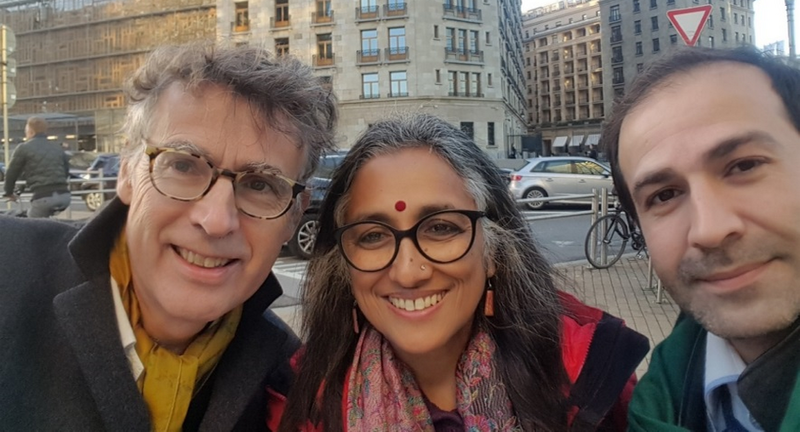 To make this happen Prof. René Kemp and Dr. Serdar Turkeli together with researchers from University College London created the Sustainability Transitions and Innovation Review (STIR). Essentially a toolkit, it helps stakeholders jointly evaluate policy vis-à-vis sustainability transitions, eco-innovations and eco-innovation policy. Last year, the STIR framework was successfully tested out in Turkey. In the STIR meeting organised by Serdar, the questions provided by STIR were applied to Turkey and collective solution plans were arrived at by discussing with local stakeholders. 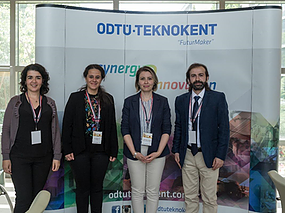 It yielded tangible outputs in terms of a policy intelligence report on Turkish Eco-innovations and Sustainability transition. STIR is developed within a larger initiative supported by the European Commission called Innovation for Sustainable Development (Inno4SD). is a network of networks providing an international platform for exchange of experience and policy learning on the role of innovation for sustainable development. The network invites multiple perspectives on innovation and sustainability relevant for different countries and regions around the world. To ensure international participation and outreach, they mix their network meeting locations between Developed and Emerging countries. UNU-MERIT sustainability transition team members further embedded its activities in the larger activity landscape of Inno4SD through participation in their November meeting in Brussels, which brought together academics, policymakers and business leaders and civil society members for a three-day meeting. There were many interesting take-aways. Let’s start with the first day, in the most memorable setting, the European Parliament and what the ‘thought leaders’ representing firms, academics, and policy leaders had to say. We have technological innovations to address most problems: This was techno-entrepreneur Gabriel Gurovich’s view! Hailing from Chile, he presented an array of innovations ranging from rockets for faster transport to starch-based bags in lieu of plastic bags that you can drink up after use (just stir it in a glass of water!). Unsurprisingly his talk featured a SITE4Society speaker, Maastricht University’s Prof. Mark Post, who is famous for his work on cultured meat. But we need more: “By God we need innovation, because we are doing great harm to the planet,” said Paul Ekins of University College London. He added that we need better social practices and institutions just as much as we need technical change. 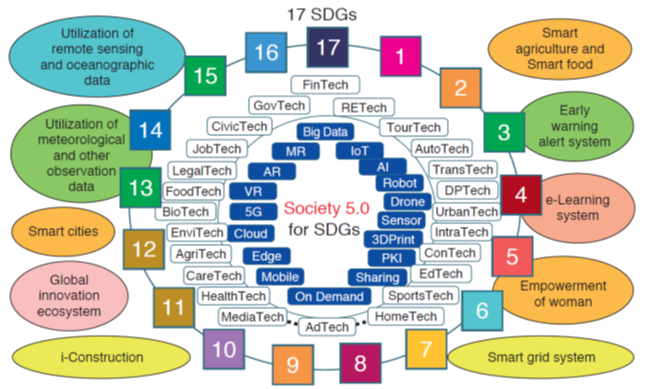 Taking a human-centered approach: In this respect we can all learn from Japan’s Science and Technology Agency, whose national vision for Society 5.0 is both human-centred and technology-based. This indicates the importance of social innovation for meeting the SDGs. And the environment: Green solutions are needed badly and quickly. A telling statistic was offered by Dutch MEP Gerben-Jan Gerbrandy who pointed out that green finance only amounted to 5% of total finance, which means that 95% of innovation finance is potentially working against greening. The second day was a deep dive into the different networks of Inno4SD after a keynote kickoff by Prof. Shyama Ramani. She widened everyone’s perspective by discussing 10 problems for mobilising innovation for the SDGs. She said that pro-poor innovations often fail to reach those in need because of cost, capabilities, cultural factors – or simply because they were never really asked what they want. The equation ‘needs = wants = demand’ doesn’t always hold. And that’s also why noble intentions sometimes fail. For instance, despite spending US$ 200 million on low-cost toilets, the Gates Foundation has failed to install any in urban slums or rural villages – prompting them to spend many millions more on re-inventing the low-cost toilet! Shyama then highlighted various ‘fake solutions’ like nanotech-based ‘Lifestraws’ that supposedly allow people to drink water from polluted streams, and the need for more engagement to tackle ‘non-fake problems’ such as climate change and the populist threat to democracy. René quoted the Sen-Stiglitz-Fitoussi report on the Measurement of Economic Performance and Social Progress, which says: “One of the reasons that most people may perceive themselves as being worse off even though average GDP is increasing is because they are indeed worse off!” In the discussion, he said that universities can be an important source for local initiatives with SD benefits, through a voucher system. As well as encouraging local action via software, legal advice and business-model thinking, this should also foster user-inspired science for dealing with the great challenges of society. T he conference closed on the third day with a collective brainstorming on next steps with experts from five continents. During the meeting, many people expressed interest in our STIR and Site4Society initiatives and Prof. Ramani’s idea of Solutions Design, as well as what else to do. Such questions were discussed in the final session led by Peter Woodward who asked participants to formulate two key insights and two calls to action. In the space of 1.5 hours, 20 insights were formulated and 15 actions including things such as cities becoming sustainability battlefields, programmes for mission innovation, X-price challenges, clear radical targets and human-centred innovation. Most ‘actionable suggestions’ need further work (in that they were not exactly actionable! ), but everyone agreed that such meetings ought to be continued. And to ensure international participation, the next meeti ng will be held in Mexico. We need to discuss how emerging economies can use innovation to achieve the SDGs, most notably through a green economy and social innovation. We hope that more researchers from the UNU network can participate in Inno4SD as it is an open network of networks, with a research-based agenda for learning and change, welcoming multiple perspectives on sustainable development to be established, scrutinised and deployed.